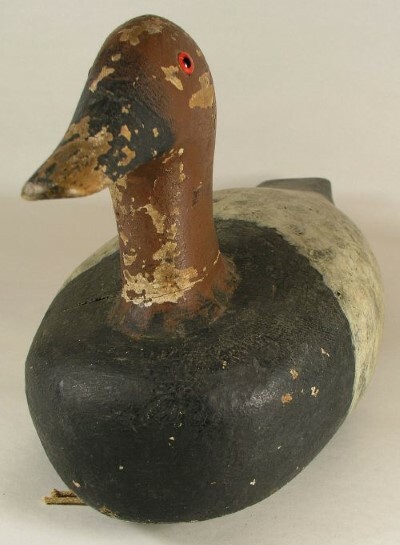 Wooden carved and painted working duck decoy with glass eyes and wonderful dry painted surface. 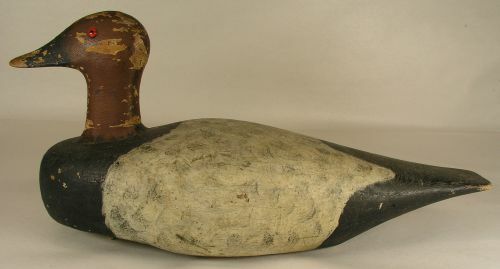 Original lead weight intact with owners name written in black paint. 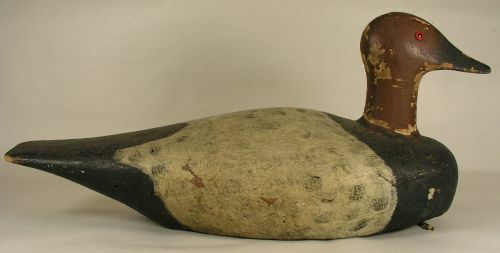 Has some minor paint loss on the head. Measures18\" long X 8\" tall X 7\" through the center.